Using Facebook to market your brand, website, blog or anything else is a very effective way to get noticed. However, there are some things that marketers do to get it wrong. Let’s take a look at 6 common Facebook marketing mistakes that sellers make. Truly engaging content doesn’t have to be three paragraphs long or overly detailed. Your Facebook posts should be long enough for your readers to grasp the entire idea but short enough to easily like or share it. Your post should entice people to click a link to read the entirety of the content. Here’s a good rule of thumb; follow Twitter’s 140-character restriction. This will push you to be concise on your post without compromising on the depth of mental processing. It’s generally good to never exceed about 300 characters in a post. Too much information may ruin your post. Write just an overview of what’s on your website or on your blog. Your post should appeal to your audience’s senses. Rather, than give away the entire content of your blog post, grab your reader’s attention by playing on their emotions. Associate your post with emotions that add a sentimental value to your readers, this is just one great technique to lure them into clicking your call to action for more information. Each Facebook post should only have one imperative message or a “call-to-action” to effectively deliver your message to your users. Providing several call-to-action’s will only confuse your audience and make it harder for them to digest the post. It makes them feel obligated rather than appreciated. In the end, your post will only be truly engaging if it motivates the reader to take action. Consequently, having too many links would only result in a negative impact on your “page click rate” or the percentage of people visiting a web page through clicking a hyperlink. People are tired of advertisements that compel unnecessary expense. More often than not, Facebook newbies tend to treat the Facebook community as an opportunity for direct sales. They try to deploy the same traditional marketing such as flyers and print ads and eventually lose more and more of their loyal customers. Ideally, your post should solely benefit your business but in the Facebook era, marketing alters the unconventional way. In other words, your Facebook posts must show genuine concern to your customer’s needs by providing some value for users, either in the form of entertainment or valuable information. In the Facebook world nothing is carved in stone. Everything can change in a snap of a finger. Your post may have gone viral today but you may find yourself struggling by tomorrow. The true test is how to stay on top of positive growth and the only way to sustain your credibility is to keep your following constantly engaged. You must monitor your posts and the level of engagement it receives on a regular basis; this will help to guide you in optimizing your future activities. Secondly, remember that every comment deserves a reply. You always want a great conversation going. On the contrary, if you leave comments unattended, this will make people feel unappreciated and will deter any future commenters. This also applies to negative comments. You have to timely address negative comments to prevent any ill will among your customers or others who may see the comment. Use this as an opportunity to explain your side of the story and to justify your actions. Thanks for reading this article, please share with others you think might benefit from it. 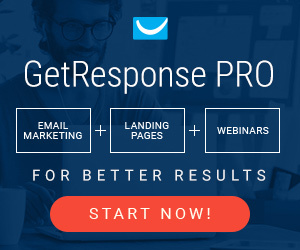 Previous Previous post: Is Email Marketing Right For Your Business?